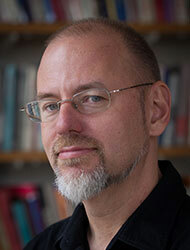 Bio: Stefan Helmreich received his PhD in Anthropology from Stanford University. His research examines the works and lives of biologists thinking through the limits of “life” as a category of analysis. Alien Ocean: Anthropological Voyages in Microbial Seas (University of California Press, 2009) is a study of marine biologists working in realms usually out of sight and reach: the microscopic world, the deep sea, and oceans outside national sovereignty. This book, winner of the 2010 Senior Book Prize from the American Ethnological Society, the 2010 Gregory Bateson Book Prize from Society for Cultural Anthropology, and the 2012 Rachel Carson Book Prize from the Society for Social Studies of Science, charts how marine microbes are entangled with debates about the origin of life, climate change, property in the ocean commons, and the possibility of life on other worlds. An earlier book, Silicon Second Nature: Culturing Artificial Life in a Digital World (University of California Press, 1998) is an ethnography of computer modeling in the life sciences. In 2000, it won the Diana Forsythe Book Prize from the American Anthropological Association. Helmreich’s newest research concerns the cultural circulation of such abstractions as “water,” “sound,” and “waves.” His essays have appeared in Critical Inquiry, Representations, American Anthropologist, and The Wire. “Sound Studies Meets Deaf Studies” (w/ Michele Friedner, Stony Brook University), The Senses & Society 7 (1). 2012. “What was Life? Answers from Three Limit Biologies.” Critical Inquiry 37 (4). 2011. “The Emergence of Multispecies Ethnography (w/ S. Eben Kirksey.” Cultural Anthropology 25. 2010. Alien Ocean: Anthropological Voyages in Microbial Seas. Berkeley: University of California, 2009.